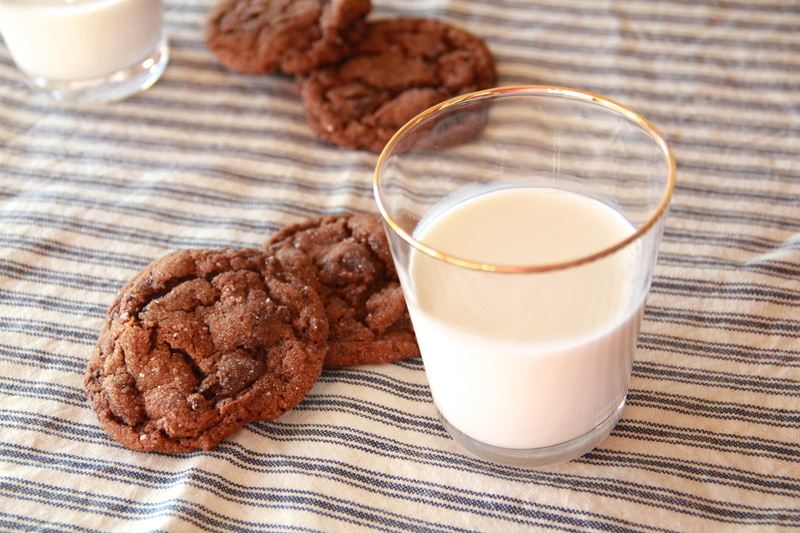 Gingerbread chocolate chunk cookies! They’re the tenderest things, with the perfect chew. The way they yield when you first bite them is an eye-closing thing. And then the gingery spice hits you and the chocolate chunks put up a fight with some richness and heft. So good. I’m pretty sure Santa wants these cookies. He must! With a tall glass of milk and extra helpings of coziness and goodwill. Well, eff Santa, because I accidentally ate all the cookies and now they’re gone. But am I, really? I mean, I’m a Jew with a Christmas tree, so I’m sort of an expert in sending mixed messages/disappointing my elders, anyway. Ah, well. Kids, don’t be like me. Don’t just eat the cookie chunks out of that pint of ice cream, and then put it back in the freezer. Don’t accidentally kill all the plants you own. Do wear real pants instead of leggings sometimes, and please, for the sake of Christmas, save some effing cookies for Santa. Line a baking sheet or two with parchment paper. 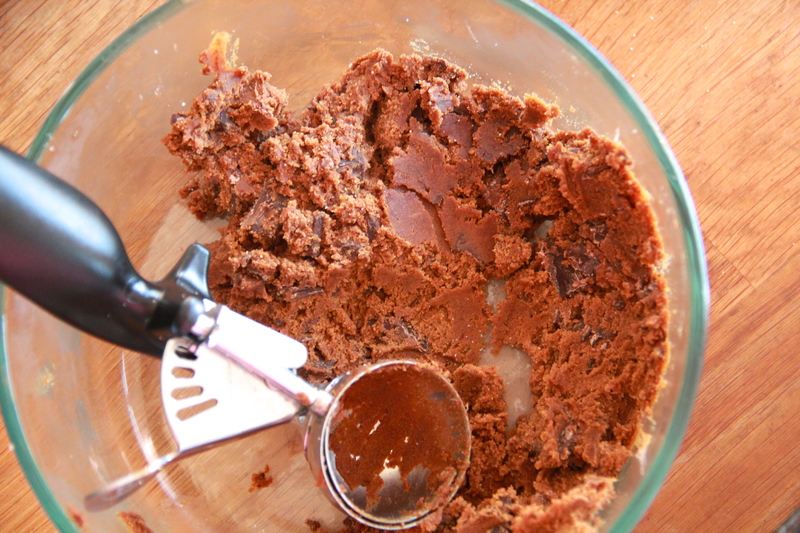 In a medium bowl, whisk together the flour, ground ginger, cinnamon, cloves, nutmeg and cocoa powder. Set aside. In the bowl of an electric mixer fitted with the paddle attachment, beat the butter and fresh ginger on medium speed until lightened and fluffy, about 2 minutes. Add the brown sugar and beat until well combined. Add molasses and beat to combine. In a small bowl, dissolve the baking soda in the boiling water. Add half of the flour mixture to the butter mixture, stirring to incorporate. Next, add the baking soda mixture, and finish with the remaining flour mixture, mixing until a cohesive dough comes together. Fold in the chopped chocolate, then cover the dough with plastic and allow it to chill in the fridge until firm, 2 hours or overnight. When you’re ready to bake, heat the oven to 325 degrees F. Scoop dough into 1 1/2-inch balls, then gently roll them in granulated sugar before placing them on the prepared baking sheet, roughly 2-inches apart. If the dough seems soft, refrigerate the dough balls before baking. Bake the cookies until the tops just begin to crack, 10-15 minutes, rotating the tray halfway through. 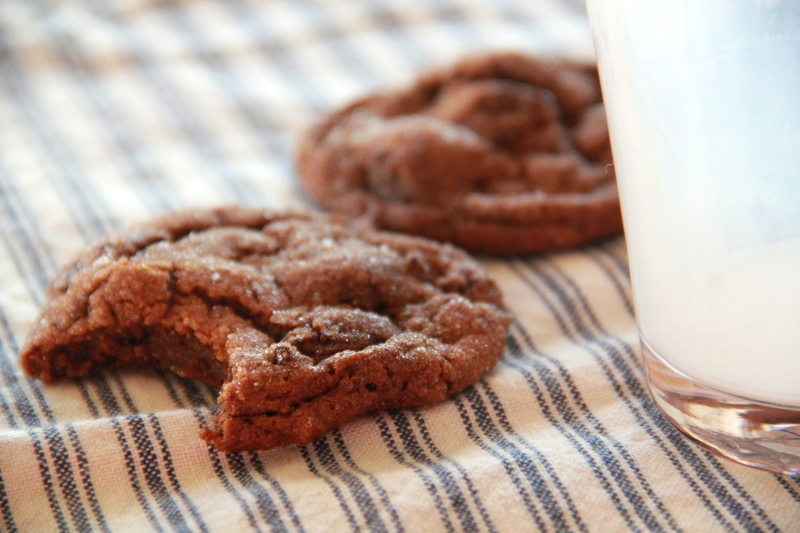 Let the cookies cool for about 5 minutes before transferring them to a wire rack to cool completely, or enjoying them warm with some milk. 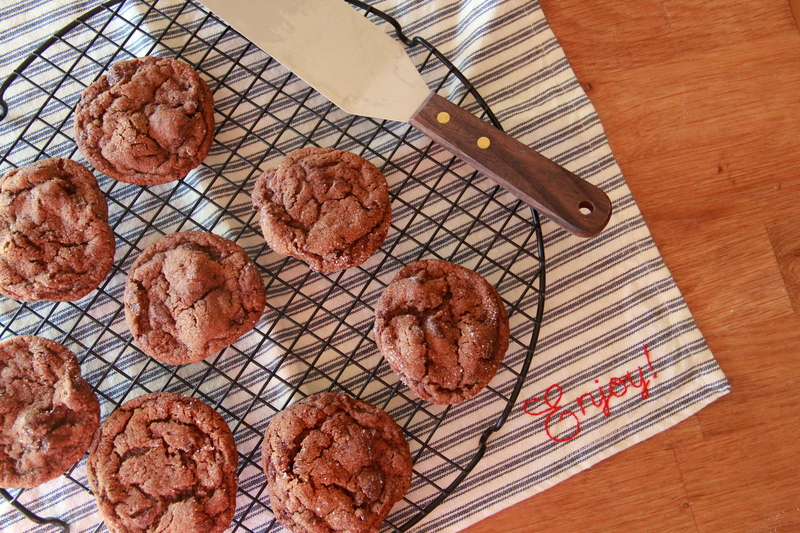 Cookies will keep, tightly wrapped at room temperature, for 4-5 days. gorgeous and yum, and ….well, that’s it, I guess.